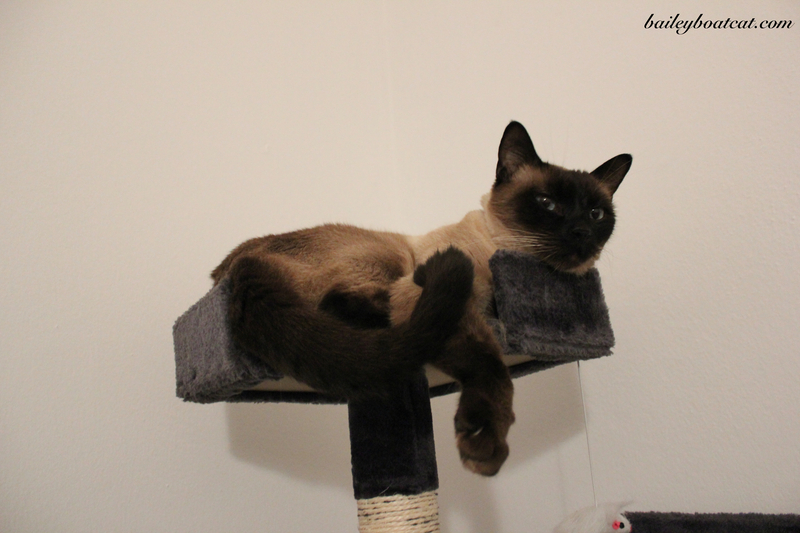 Relaxing in my Cat Tree! « FaceTime fun with Digger! You look very comfy up there, Bailey. You looks like you are controlling the whole area and keep everybody in check. Good on you! That crow’s nest looks like it could be a little larger!